Shipping is $7 per candle. We offer Free Shipping for orders of 6 candles or more. 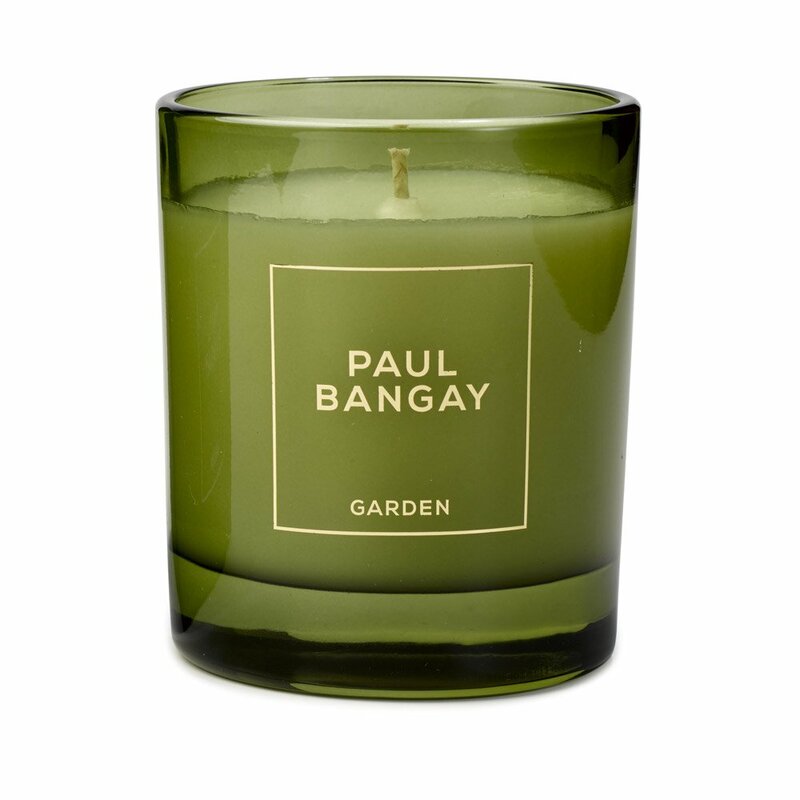 Designed with a proprietary blend of vegetable oils and parrafin, each candle has a over 40 hour burn time and a cotton wick. 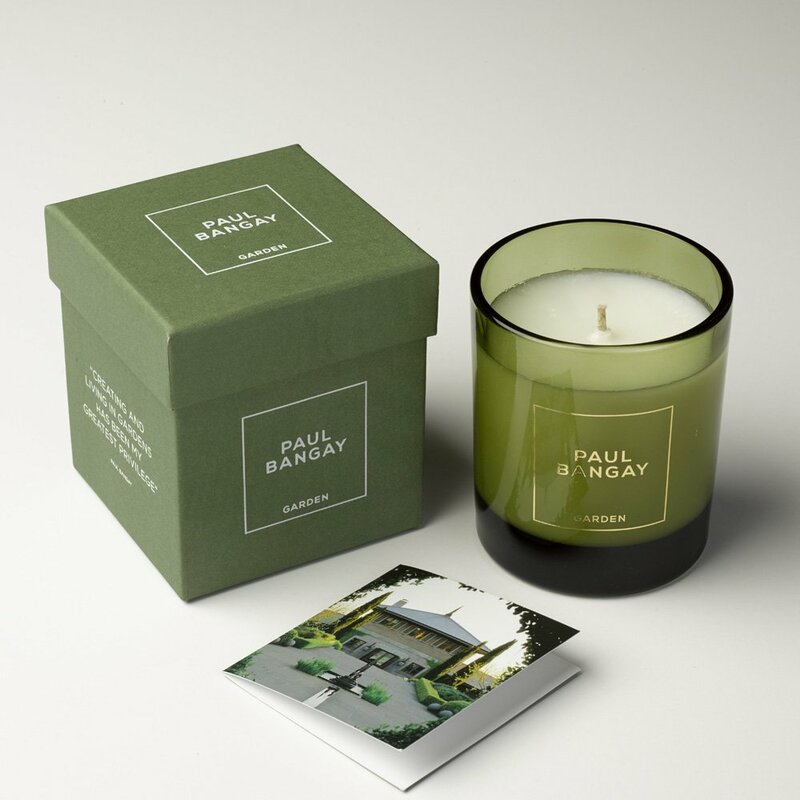 Paul selected green glass for his premier candle collection which evokes the sense of outdoor greenery in refined muted tones. a gold hot stamped logo brings a sense of elegance and sophistication. The deluxe outer carton has a linen like texture and is designed to feel like opening a beautiful gift either for yourself or a friend. Each candle is enclosed with a lovely gift card.